Full of fresh and innovative dishes, our menu specializes in seasonal fresh fish. 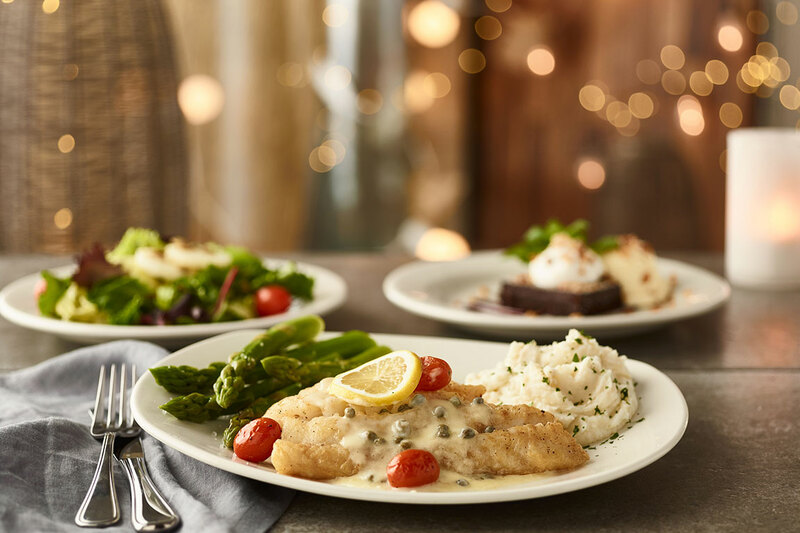 Taste today's fresh catch and try something new for dinner tonight. Four - Wood-Grilled Seafood Selections paired with our signature sauces. - Atlantic salmon, Caribbean cobia, shrimp and scallop skewer, and your local "Neighborhood Catch"
Wild Wolffish rolled and stuffed with a creamy lobster and shrimp blend, baked and finished with a roasted chili reduction sauce. Hand-Crafted Happy Hour features all-new menu items and a selection of popular hand-crafted cocktails. It starts daily at 4p.m. and end times vary by location. 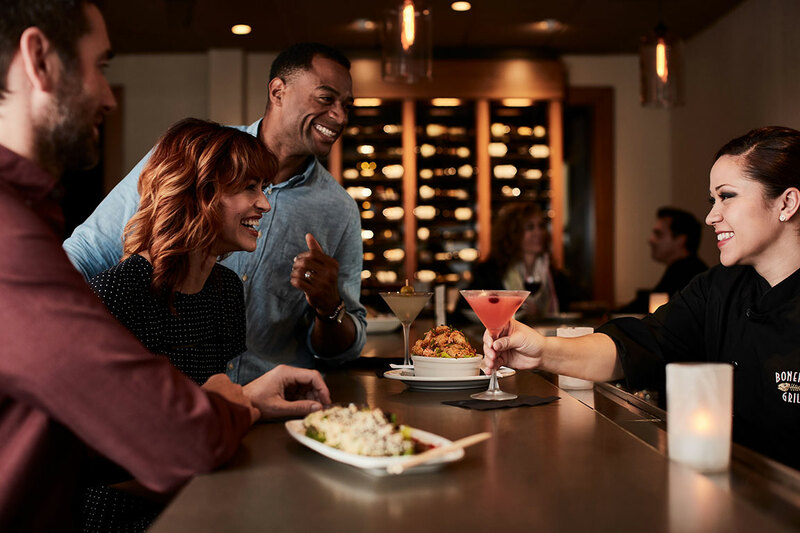 Please check your location page for location-specific Happy Hour offerings and times. Cheers! Prices, product availability, participation and hours may vary by location. 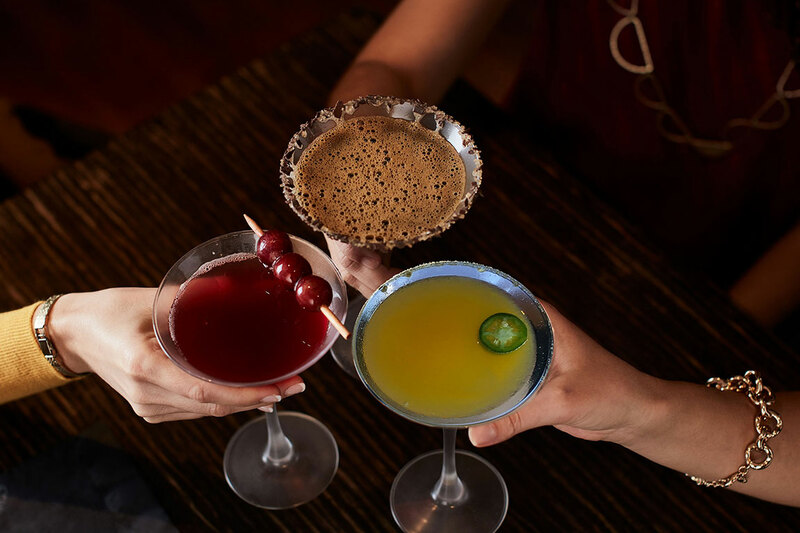 Join us every Monday and enjoy hand-crafted martinis for $6. *Excludes Infused Manhattan Martini. Valid after 4pm. Not valid in Massachusetts, Oklahoma or in Gwinnett County, GA Bonefish Grill locations. Spice up the middle of your week with our signature appetizer. 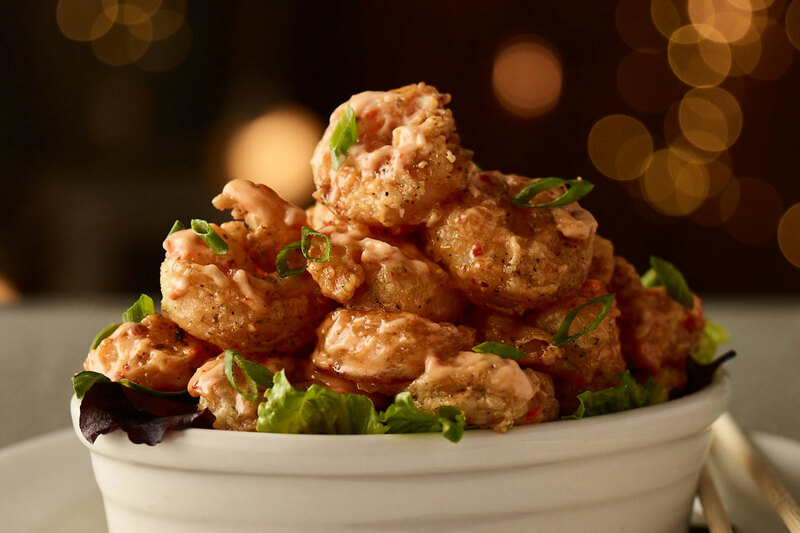 Bang Bang Shrimp is just $6 every Wednesday. Earn 50% Off Your 4th Visit!